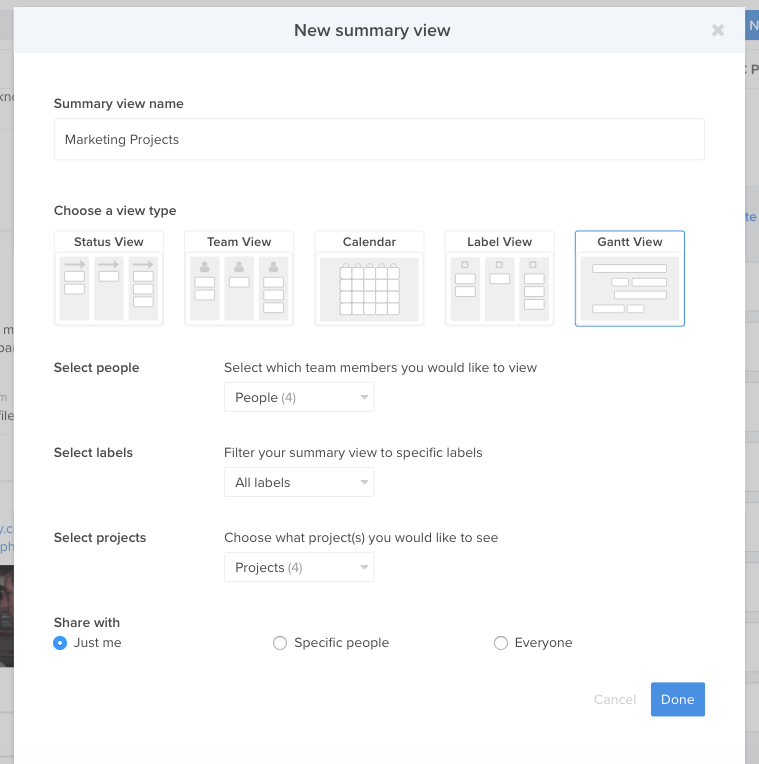 Summary views are a great way to combine several projects into one space. It's especially useful for managers and other people who want to take a look at the big picture across the team. It will open a new tab with your view. To edit, hide or delete the view, just click the summary view and you will see the menu below. Click the 'Show filters' option in the Summary View menu. You can also sort by priority and reveal actions that you have archived. Any filters you set will only apply to your view. So when a member of your team goes to that summary view, they won't see the filters you have set.